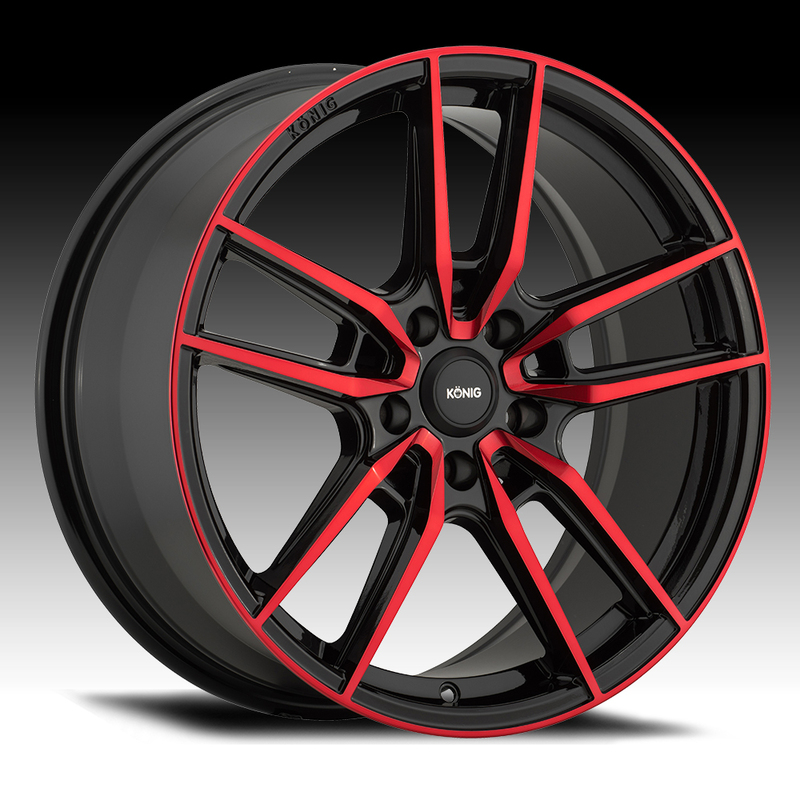 The Konig Myth is a uniquely styled, split 5-spoke wheel that is able to provide many vehicles with a more aggressive stance. The Myth is offered in 16x7.5, 17x8, 18x8 and 19x8.5 sizes. Free spline lug kit with the purchase of a set of Myth red and black wheels.